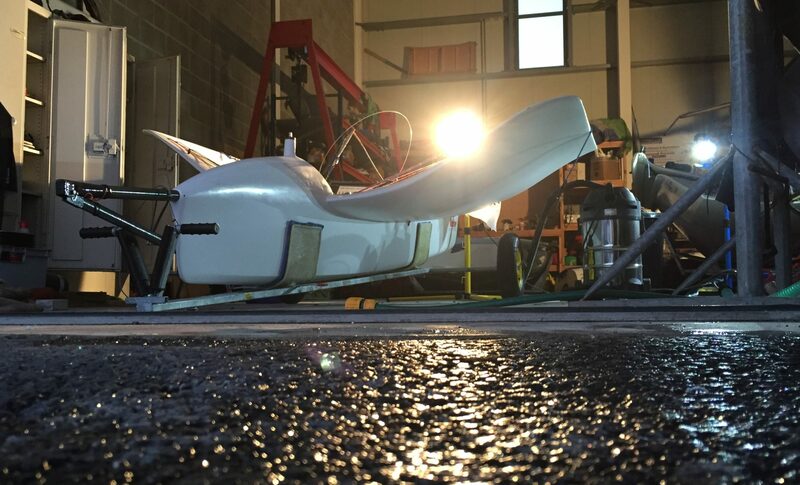 Aardvark Tech – Making faster boats. Since the Nationals last year I managed to get to go sailing twice I think, once at Stone where I had finally got my head around everything and was back near the front, clinging onto the coattails of Rashley and Offer and even sneaking in a second overall. Then once at Draycote in apocalyptic conditions that saw my forestay snap, when the boat blew back upright after a capsize and as the boom was still in the water everything loaded up massively in the 30+ knots we had that day! The ensuing carnage saw a hole in the foredeck and a shredded tramp. I thought I’d bagged a 30 knot run too… Unfortunately I give everyone hassle for getting track logs with their peak speeds so I thought I’d better double check and after soaking my GPS in a bowl of rice overnight to recover it showed a 29.45 knots best and a 10 second average of just under 29. Not bad for a 70 kilo runt in the coldest water the UK has to offer! So Rocket did me proud for a season. Platform and foils are all where I wanted them to be, but rig development was sorely lacking and taking far too long with my brief periods in the boat. I’ve got some big plans for a new boat and wanted to make sure the old girl had a new home and ended up selling her in January to Andrew Blee up at Draycote. This made sure I could start getting the ball rolling with my silly boat plans, but with Me being Me this has taken ages, it’s April and I still only have a hull shell! But this afternoon, a fairly major piece of the puzzle had started taking shape on my workshop floor, mostly thanks to Badger who lent his joinery skills for the morning (extra points for a Sunday!) and has given me the kick I need. 2013 has been an interesting season. After launching boat #1 10 months ago we’re now putting the bits on #13 which makes it one of our most successful seasons building wise. On the water was a different story with the boats taking a while to get the setup figured out and finding out that rig development had moved on without us! Top Rocketeer Dylan was unable to make the Nationals too which was a shame as he’s been training a lot in Weymouth and is consistently on the pace. Personally had a few highlights, like the inlands at Bala which saw some of the most beautiful sailing the UK has to offer and was the first time the Rocket really started to show what she was made of. The Nationals was a great event and it was nice to get a few days of sailing in and make some progress, as it seems all of my sailing this year has been at events! Stone was another good one for me, as I was starting to mix it up with Rashley and Offer at times and had made some more setup gains. 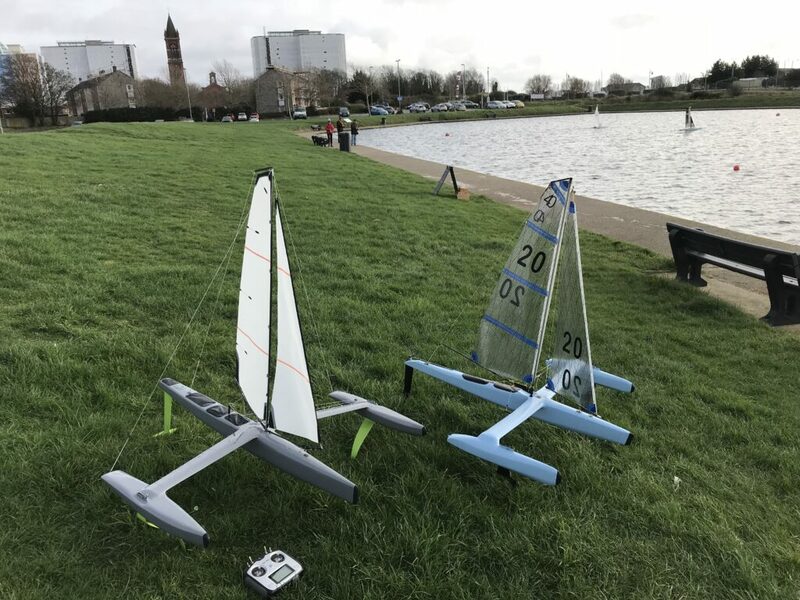 It’s been a lean winter for me now having not sailed since Draycote where I got within a gnats whisker of cracking 30 knots and unfortunately the forestay snapped a bit later – the subsequent mess only just getting sorted out! My faithful steed is on her way to new owner Andrew Blee at Draycote next week and once a new boat for Dylan goes out the door I can get building and go nuts. Had a few ideas running around in my head for a while now and I’m going to commit the cardinal sin and put them all on one boat. Plan to be back on the water in March and aiming to do most of the Eurocup events over the summer. On the product side, we’ve got some new larger span foils coming in for the bigger guys and potentially a slightly smaller set again as we’ve been playing around with a cut down version of the already quite small Rocket foils and they’ve shown some good promise. For a while my blogging was inversely proportional to my sailing time, choosing to spend time on the water. That’s gone out the window this year and my blogging is pretty much on par with my sailing time! Rocket development is proceeding apace, with boats 5 and 6 in build at the moment. Gio and Dylan Fletcher are providing valuable tuning feedback and we’re slowly getting an understanding of how the boats like to be setup and they’re proving to be pretty quick at first launch now which is a good sign of how the setups are coming together. Suffice to say I plan on being on the water at the Nationals in plenty of time for the starts, even if I don’t get any hours in beforehand! It’s shaping up to be a great event too, with nearly 40 boats entered within the first few days of registration and plenty of Euro folk heading over for the chance to win loads of cake by the sounds of it.